Don’t have time to leave your dog to a grooming salon for 2+ hours? No problem! We’re mobile so you don’t have to worry about dropping your dog off and collecting him/her as we’ll come to you at a location and time of your choice – it couldn’t be more convenient! As a local company, we’re committed to keeping our prices as affordable as possible without ever having to cut corners on the quality of the equipment we use and the results we achieve. Call us today and tell us a little about your dog and we’ll be able to give you a fixed price on how much the total will be. 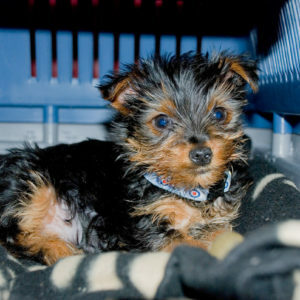 From small Pomeranians to large Labradors, we’ve had the pleasure of working our magic on all breeds and sizes of dogs. 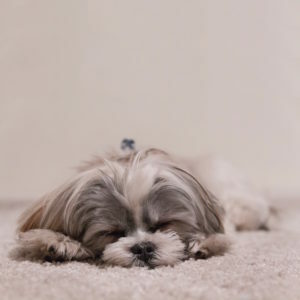 No matter if your furry friend has matted fur, overgrown nails or fur that’s coarse and thick, we promise that your dog will look and smell amazing after their time with us. Hello and welcome to Spotless Paws! 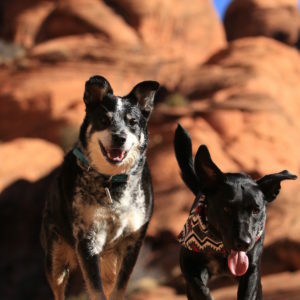 We are dog-groomers of the highest caliber and we believe that dog owners of Las Vegas deserve a high-quality, mobile service that treats their little wonders with the care, consideration, and pampering that they obviously deserve. We know that as dog owners you always want the best for your pet, but sometimes it can be difficult to find the time to spoil them like you would like to. As such, at Spotless Paws we sought to address the considerable demand on our neighbors’ time and decided that mobile dog grooming in Las Vegas is the best way to bring a premium level service to you, our customers, that not only saves time and achieves results that will rival any dog-grooming salon but spares you the hassle and expense of dropping off and collecting. 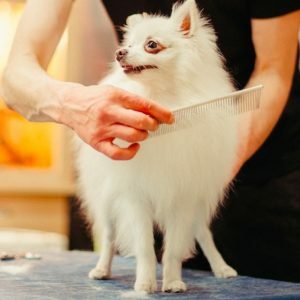 At Spotless Paws, we are committed to making our high-end dog-grooming services available to those living across all of Las Vegas and its surrounding suburbs at prices that are incredibly affordable, and, as exceptional timekeepers, we promise that you won’t have to worry about us ever being late. 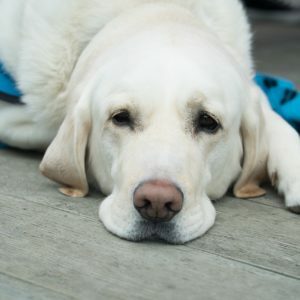 Our mobile unit will be outside your home at the prescribed time and you can expect a friendly face at your door ready to treat your dog like royalty. 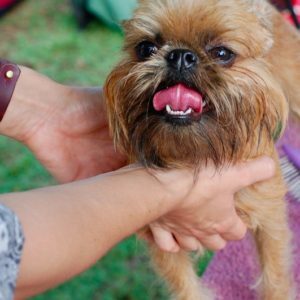 Best of all, we cater to dogs of all sizes, so no matter how little or large a pet you have, we will deploy our extensive grooming skills to make them look and feel like a million bucks. 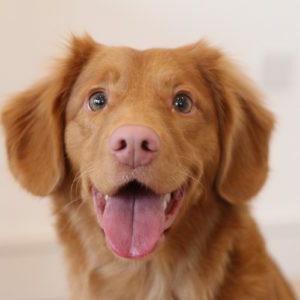 If you are anything like the staff here at Spotless Paws then you don’t really think of your dog as a pet or an animal that plays second fiddle to the rest of the family, do you? No, because as fellow dog lovers we understand all too well that our dogs are very much a part of the family and bring a wonderful color and vibrancy to the home. They are friends, they are loyal, ready to play, keep you company, or keep the kids busy while you work – they basically will do whatever you want whenever you want as long as it makes you happy. So, for all of the aforementioned reasons, and so many more, it is clear that dogs are awesome and should be pampered and afforded the same luxuries we take for granted in our lives every so often so that they are content in theirs. 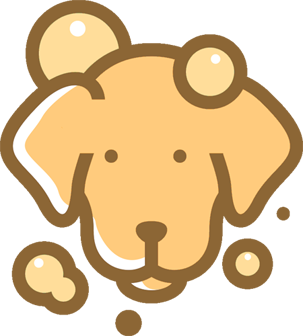 Here at Spotless Paws, we understand exactly what it takes to keep a dog happy, and we also know exactly what you, the responsible adult, need from our grooming service. With the best interests of both you and your best friend in mind, we approach our business with a view to making it a trustworthy, reliable and convenient service as possible. We will complete an on-site grooming assessment with you when we arrive and decide exactly what is required, tailoring our extensive services to you. 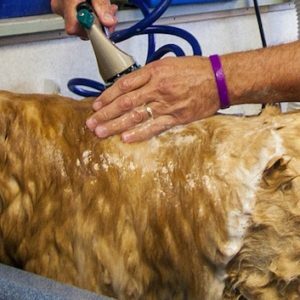 We can brush, bath, towel dry their face, hand blow dry their body, clip and cut hair, clean their eyes and ears, clip their nails or perform Dremel trimming (free of charge) and give them a final brush and fluff. 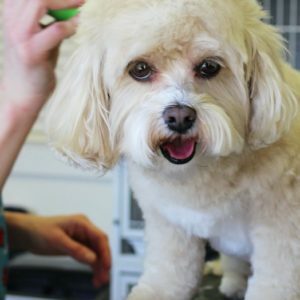 Best of all, when you hire the team here at Spotless Paws, you know that your dog will not be put in a cage at any time during their grooming. We are not fans of cages for our animal pals so you can rest assured that your dog will be treated as if it were our own during his or her time with us. Another aspect of our business that we are committed to at Spotless Paws is hygiene. Our fully self-contained van is a temperature-controlled environment that is spacious and clean. It is sanitized daily using high-quality disinfectant and deep cleaned regularly to ensure that your pet is cared for in a meticulous, comfortable space. What’s more, our van is fully equipped with a generator for electricity and has a reservoir for water, which means that we will not require the use of any of your utilities. And, for a little more peace of mind, we have a separate tank built-in to collect the dirty water, which is disposed of back at headquarters. The team at Spotless Paws are available to all dog owners in Las Vegas 7 days a week and we work between the hours of 8 am and 6 pm. All you have to do if you want an appointment is to get in touch by phone or email and let us know where you want us to be and when. 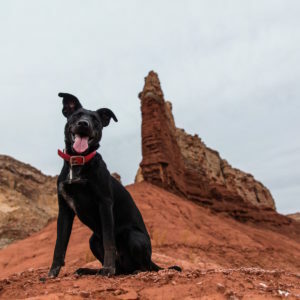 At Spotless Paws, we consider ourselves the best portable dog wash service in Las Vegas and very much look forward to meeting you and your pet. We promise that when we return them to you, they will bounce back into your home clean, gorgeous, fully energized and ready to cuddle. “Couldn’t recommend these guys enough. They arrived at my house on time and the groomer was friendly and really confident in handling my boxer who is 65lbs. His coat just needed tidying up and he need to get his ears cleaned and nails clipped. 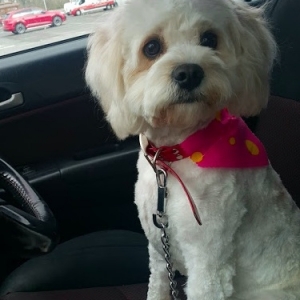 I was very satisfied with the service and not having to spend 2 hours at a dog grooming place made me all the happier.” – Giles R.
“The van is clean, very well equipped, very hygienic and it wasn’t smelly at all. And, most importantly, the atmosphere is very relaxing and dog friendly. My dog came out looking amazing so would recommend to all dog owners. 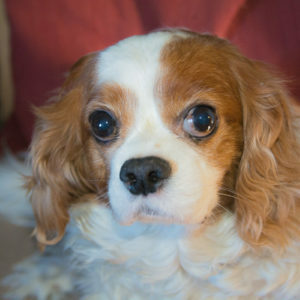 Thanks guys.” – Tori K.
“I’m the proud mommy of a little beagle who’s super shy and timid. I toyed with the idea of cutting her hair myself as I didn’t want her to be afraid if I brought her to a grooming salon. I then found Spotless Paws online and I thought it was the perfect solution as she wouldn’t have to be in a cage with other dogs. Roxy was a little apprehensive getting into the van but once inside, she was totally relaxed. I have nothing but good things to say about Spotless Paws after my experience and Roxy was super happy with her fresh look. Will be booking the next time she needs some TLC.” – April C.